First things first last year, we said that if Symantec ever removes Norton's real-time (and real hokey) Threat Map from the UI, we won't have anything left to piss and moan about. Well, guess what? Symantec finally got rid of the useless Threat Map, which displayed hotspots of AV activity around the world, and wouldn't you know it, we’re fresh out of complaints. That doesn't mean we can't nitpick. At nearly 24 and-a-half minutes for an initial sweep of our test bed and a little over 10 minutes for a subsequent scan, Norton finds itself a few car lengths behind pole position in this roundup. And as long as we’re picking nits, we’re a bit disappointed Norton still hasn’t adopted a virtual keyboard as an added layer of protection against keyloggers, which would come in handy when signing into banking sites. Oh, and it’s not free. 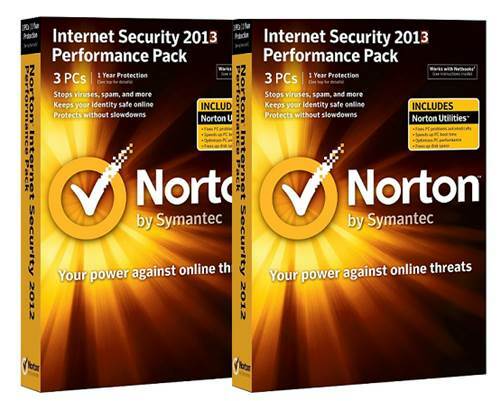 Big whoop our manufactured reprimands notwithstanding, Norton Internet Security (NIS) is the total package. Notice we left out the year from the product name. That’s because Symantec dropped the annual label and has promised to push out new product and feature updates throughout the year so that you always have the latest version, so long as your subscription is current. On the surface, NIS looks similar to last year’s release, minus the Threat Map and with larger tiles on the main screen. 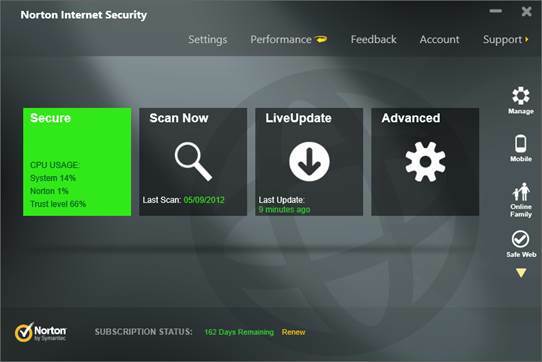 Between automatic background scans and pulse updates that are doled out every five to 15 minutes, there’s really no reason to bring up the interface, unless you want to check how many days are remaining on your subscription or need to adjust advanced settings. In case of the latter, Norton allows you to dig as deep as you want to go. Big whoop our manufactured reprimands notwithstanding, Norton Internet Security (NIS) is the total package. Symantec is constantly improving its SONAR technology, which analyzes how programs behave to determine if they pose a threat. It also takes into account how old a file is and how many other Norton users have downloaded it. This can be problematic for inexperienced developers learning the ropes of clean code, though SONAR is easily disabled. In most cases, we recommend leaving it on and letting it zap potential threats. Speaking of which, NIS pounces on poisonous downloads like a fumbled football. That is, if it doesn’t block the offending site first. On top of it all, Norton had the least impact on system performance out of all the paid suites. For some, a paid security suite is a luxury that just doesn’t fit within the budget. Luckily, there are programs like Avast you can enlist as your PC’s personal bodyguard for nothing in return. Well, that’s not entirely true. 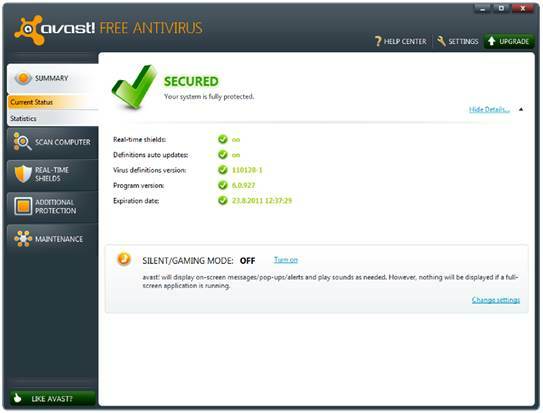 Avast requires a modicum of system resources to work its mojo, and though it’s free to install, Avast frequently tries to sway you into purchasing additional protection. It starts during the installation scheme, and again you’re encouraged to upgrade to a paid package when you fill out the registration form, which you have to do within 30 days for it to continue working. On top of it all, there’s a persistent banner ad integrated into Avast’s main menu. Should you remain steadfast in your conviction to save your money, you won’t be the worse for wear since the free version takes security just as seriously as its paid brethren. The level of fine-grain control is almost dizzying, and one setting we recommend checking right off the bat is to scan for potentially unwanted programs (PUPs). Avast usually scores high marks from independent testing labs, and we can see why. It’s very good at sniffing out hidden dangers, and when we were finished stepping on virtual landmines, Avast mitigated the damage, leaving just a few harmless remnants behind. Only Norton blocked more malware. Avast automatically shoves suspicious programs into a sandbox, thereby isolating them from the OS. Unfortunately, you can’t invoke the sandbox at will, nor will you find a firewall or anti-spam controls, features that are reserved for the Pro version. Unique to Avast is a remote assistance tool. If you (or your parents) run into a jam, you can share a special code with another Avast user to open up a remote support session similar to programs like LogMeln nifty!